For those that don’t know, featured snippets refer to the box at the top of a search query that attempts to answer a question. Here’s an easy example – search Google for “What is the best music band”. Instantly, it will bring up a list pulled from the Wikipedia page. 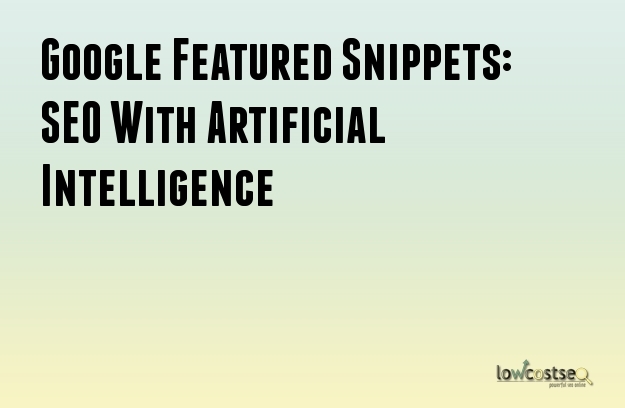 Now, however, Google has announced a push to have these featured snippets created by A.I, rather than just a team of experts. While this might seem minor, the underlying implications are nonetheless quite exciting, at least for passionate SEO agencies. The reason snippets are important – aside from the fact they have some very high visibility – is that they aim to answer the question that was asked. In the case above, Google understood what was required and managed to find the right answer. How it does this so well is testament to both its internal algorithm and the programs and scripts behind the snippets. For this, we have to explore the technical SEO aspects at play. If there is one thing that gets said over and over again, it’s that natural keywords are important, while honest content is just as vital. With snippets, there is a clear example of why this is the case. Google is able to determine the best music bands by finding a page that focused on “best-selling artists”. For someone experienced in keyword analysis, it’s not hard to see how this conclusion came to pass. What’s more interesting, however, is how it was able to produce the snippet. The Wikipedia page itself is quite lengthy, so Google had to read the content and pull what it believed to be the right information. In this case, it was able to identify the best selling bands (the page actually has categories for different amounts of success), which is a sophisticated and intuitive response. In short, this goes to show what happens when your content makes sense and only sticks to keywords that fit this topic. Should You Pursue Featured Snippets? If you do decide to try and achieve this, its best to aim for a niche search that is relevant, such as a local factor. Of course, as with many SEO challenges, it always helps to test such queries out first and see what is currently ranking. There are a few things you can do, but the premise is simple. Featured snippets try to answer questions, so this is exactly what you should also do. Provide clear information, where the topic is easy to understand from the title. Explain it with simple points if necessary – you’ll notice many featured snippets use bullet points, rather than paragraphs. Remember, you don’t need to be the no.1 search result – instead, focus on answering the question better than what is already available.